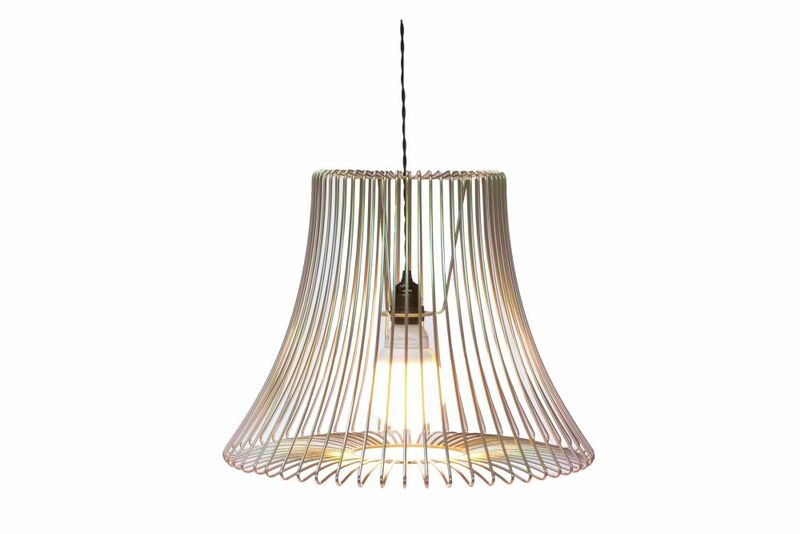 The Wire Pendant takes its cue from the iconic form of an urn lamp and combines traditional styling with a precise and technically efficient production method, resulting in a decorative lighting range that is both functional and fun. The product is available in either a matte powder coated or Yellow BZP finish and is supplied with braided flex, lamp holder and an energy efficient compact fluorescent bulb. The products have found their way into a broad range of retail, hospitality, residential and workplace projects.Black braided cable as standard. Different colours available on request. Bulbs will not be replaced.